If the first big instrumental record of Spring 2018 was, obviously, that superb Messthetics album, the second of note is surely the new release from Charnel Ground. 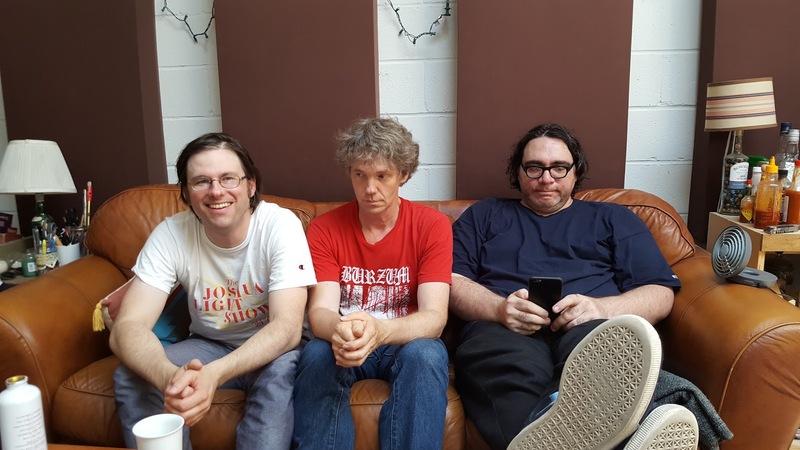 The players here -- Chris Brokaw (Come/Codeine/The New Year) on guitar, James McNew (Yo La Tengo, Dump) on bass, and Kid Millions (Oneida/Man Forever) on drums -- use this record, out on Friday via 12XU, to deliver the sort of punishing riffs that post-punk as a genre once offered up to the masses, before things got too ironic and self-aware. Opener "Jimmy" is brief and nearly accessible, but the bludgeoning "The High Price" is the sound of a train being driven through a demolition derby. It is delightful and the sort of thing that remains brave and a little subversive in an era where far too many acts are playing it safe. Elsewhere, "Playa De Ticia" is a brief respite from the sonic assault, while the spry "Skeleton Coast" suggests the faintest hints of rock-jazz fusion creeping in, though not enough to diminish the force of what's here. Finally, as we fall into the orbit of the epic "Charnel Ground", the band Charnel Ground enters an arena of complexity, bits of noise and elegant quiet trading places as the 18 minutes of the cut move past a listener. Charnel Ground is the sort of record that is worth seeking out. Obviously, there's some appeal if you were a fan of the many bands these 3 players were a part of in the past. However, forgetting their pedigrees, it's still a remarkable release, and one that delivers more post-punk power than lots else I've heard in 2018, I can tell you that. Charnel Ground by Charnel Ground is out on Friday via 12XU.